Started in 1990 with President Steve Webb, 1 Truck and a desire to impact our future with an environmentally friendly business. 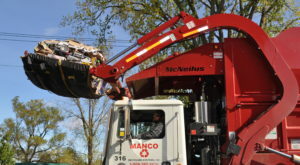 Manco Sorts and diverts its content from the waste stream by using a Material Recovery Facility located in Napanee Ontario. In 2001 Manco upgraded to a new bailer. Manco updated their bins to a standard front load bin and upgraded to front load trucks. 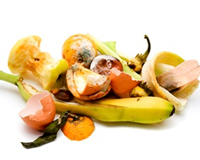 This change allowed Manco to offer Waste removal services. Manco designed a patented unique Tip and wash truck for collecting organic material. 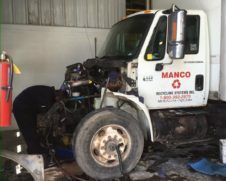 Starting in 2014 and completed in 2016 Manco built a garage to both provide maintenance to the companies equipment as well as to offer Mechanise and Fabrication services. Manco is poised to implement new recycling processes tailored to Bill 151 for a Waste Free Ontario. Why let Manco work with your business? Always looking for innovative ideas and technologies to divert all possible material from landfill. A full-service recycling and waste company able to be a single service provider for all your business waste and recycling needs. 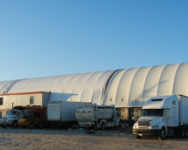 We own and operate the regions Material Recovery Facility (MRF) located in the Town of Greater Napanee. We service the counties of Frontenac, Leeds & Grenville, Hastings, Prince Edward, and Northumberland. With our high yield commercial Material Recovery Facility (MRF) located in Greater Napanee, our catchment area cover most of South Eastern Ontario. 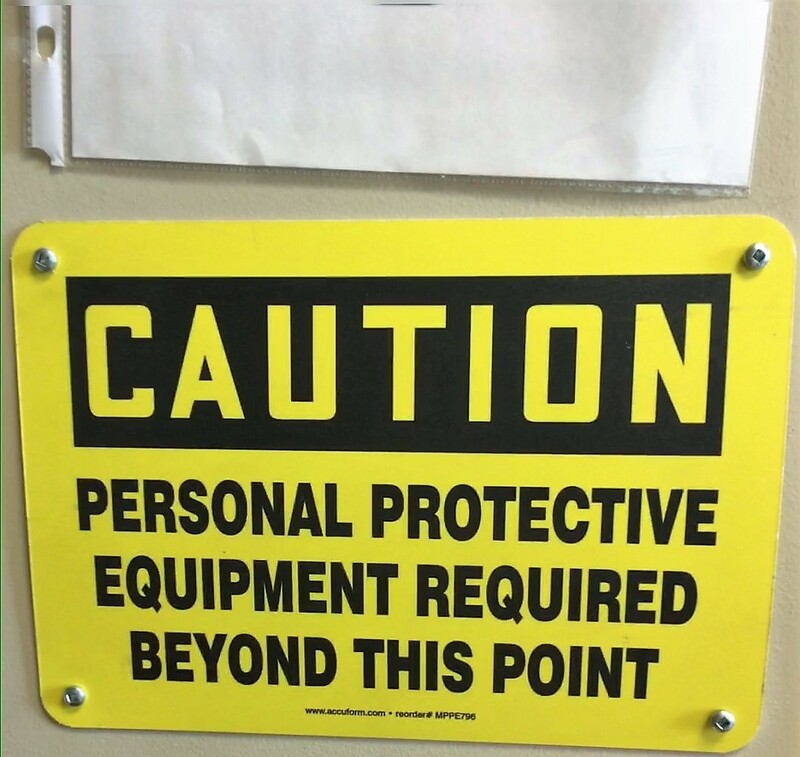 Manco puts safety first at our customers sites as well as at our recycling centre. Manco Recycling Systems considers environmental compliance and safe operating practices as a cornerstones of our business. 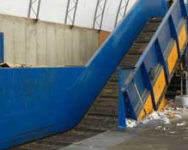 At Manco Recycling Systems safety is a core value equal to all other aspects of our business. Including our trucks on the street, the placement of our bins and the work processes in our plant. Manco has the Ministry of Environment approval for a recycling transfer system, approval for operation for our recycling center and an up to date MTO CVOR. 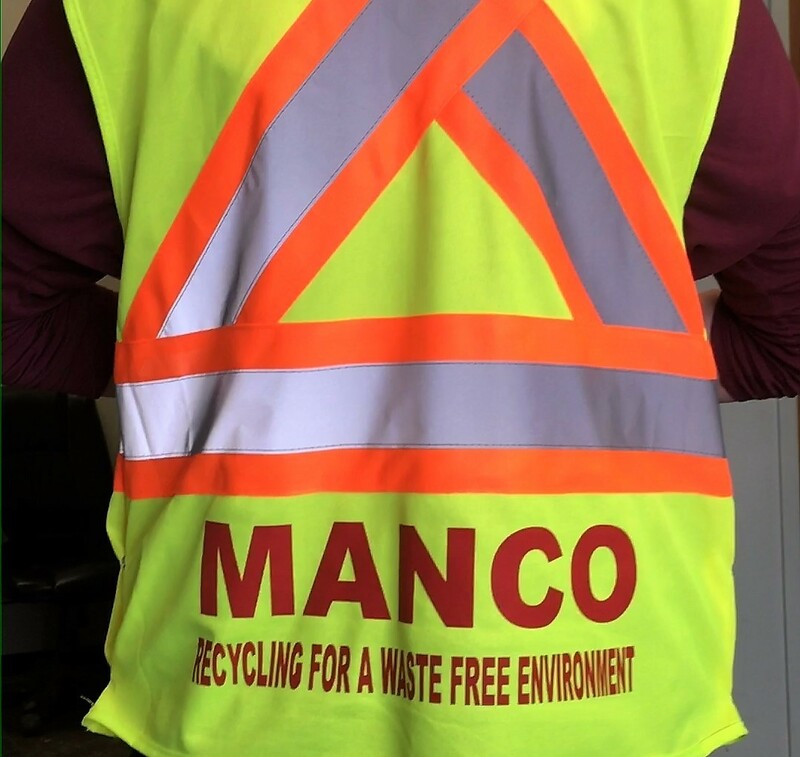 Manco Recycling Systems is licensed by the Ministry of the Environment with a Certificate of Approval to operate our business in recycling, waste collection as well as the operation of our recycling processing centre. At Manco our commitment to the environment and the communities in which we operate extends beyond our operational requirement. It is our responsibility to offer sustainable solutions to divert more waste from landfill as we reduce our carbon footprint. Small changes such as modernizing equipment and processes in our plant give us a higher yield in process material shipped out to the mills for recycling and less residue going to landfill. When faced with storage issues, we chose to expand our dock facility and utilize tractor trailers to both store and load material for shipping vs. expanding our warehouse which would require heating, lighting and greater equipment and energy costs. If you have material going to waste, please call our team at Manco Recycling Systems to investigate the possibility of recycling instead. If a market exists for your material then we will make every effort to recycle it. For your Business Recycling and Waste needs.